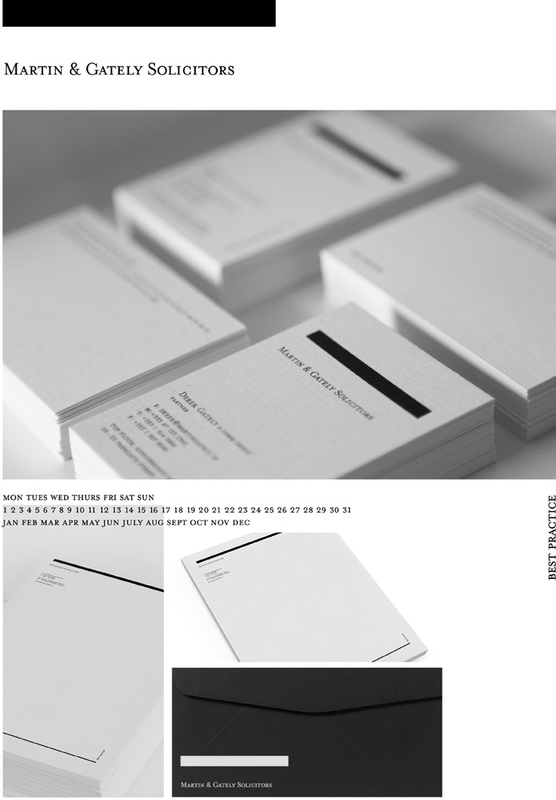 Our Work / Martin & Gately Solicitors. Martin & Gately Solicitors is a Dublin based legal practice. They approached Motif to design their identity its applications. The design concept is confident and sophisticated. Strong serifed uppercase typography communicates the established and reliable nature of the firm with the bar device representing both the blindfold of Lady Justice and the family crests of the two founding partners.